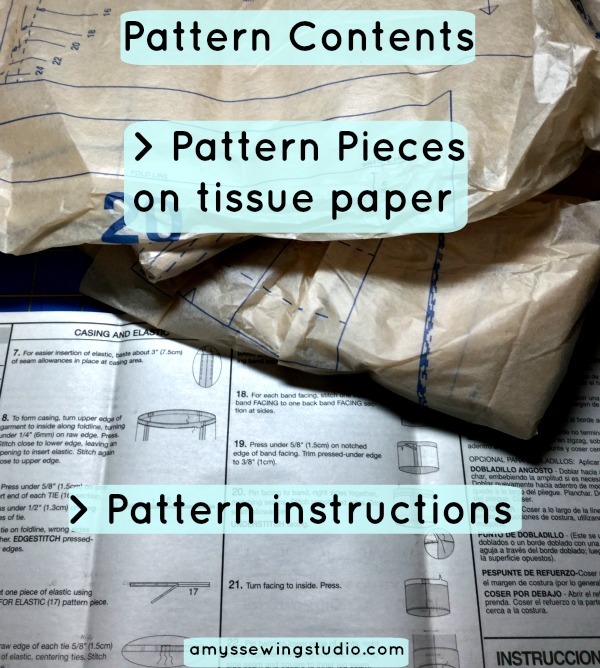 Understand Sewing Pattern Instructions before you start your project! You are here: Home / Sewing Basics for Beginners / Understand Sewing Pattern Instructions before you start your project! You made the decision that you want to sew a project, you went and bought a pattern and all the notions needed for your project but opened up the pattern directions and sighed 😕 , wishing you could easily understand sewing pattern instructions? 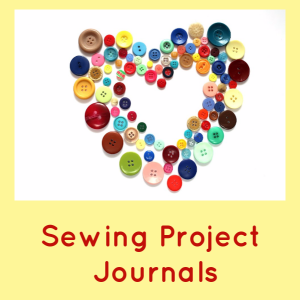 I will show you the different sections that most Sewing Pattern Instructions are organized into and talk about each section so you can get on to the most important part of the project—-SEWING! NEED A PLACE TO LAYOUT YOUR FABRIC AND PATTERN PIECES? A CUTTING MAT WORKS GREAT! 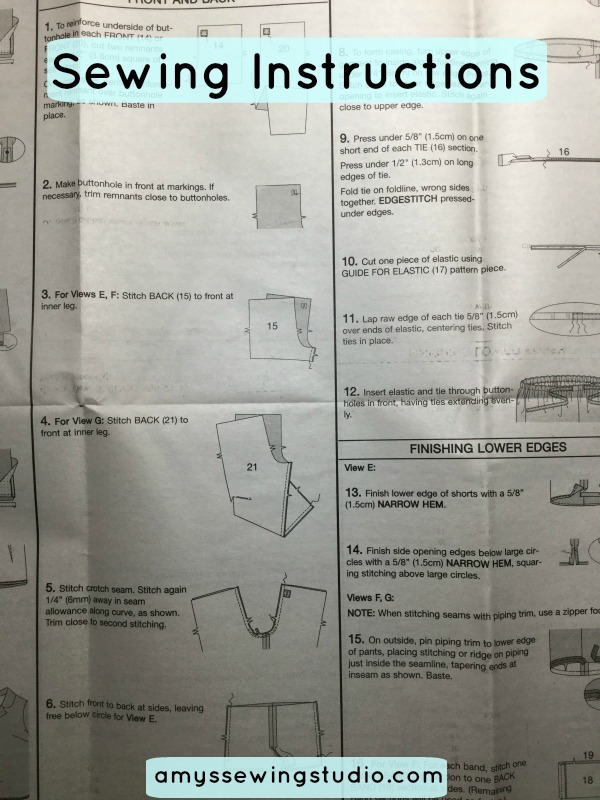 Usually on Page 1 of the instructions, you’ll see pictures of project/garment views just like you see on the front of the pattern envelope that are labeled with letters. I like to put a star by the view I want to make. 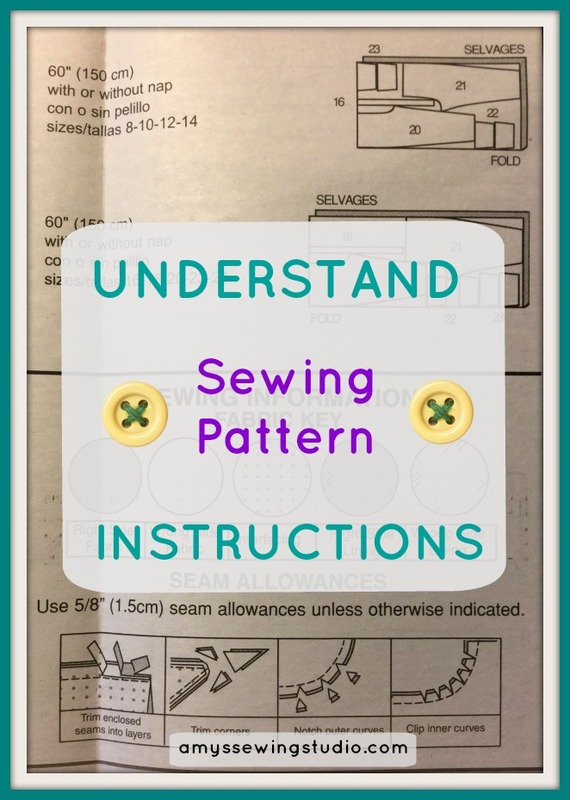 This section will show pattern piece pictures and a list which gives each pattern piece a number and showing view letters next to each pattern piece. The list also shows the name of the pattern piece ( front/back/sleeve/ neckband etc.,) You can also mark which of these pieces you’ll need for the view you want to make; just makes it easier when you go to find the pattern pieces you need. When you pull your pattern pieces out of the pattern envelope, there will be fold lines in the tissue paper. After you cut the individual pattern pieces you’ll need, take the pattern pieces to the ironing board and with your iron set on a very low setting, press the pattern paper until paper is smooth with minimal wrinkling and fold lines. 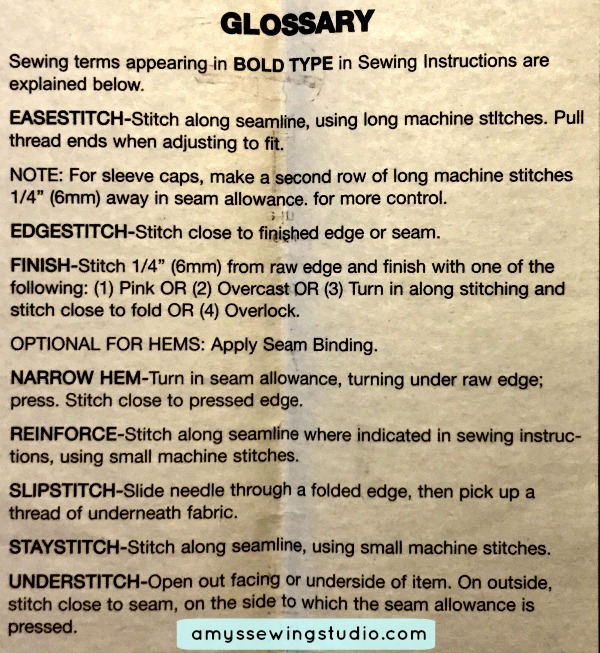 This section has definitions of wording used in the sewing instructions and further directions/ or pictures aiding you in case you need help with a particular sewing technique. TIP- Pay attention to the Fabric key– This shows you shading used in the instructions for RIGHT SIDE of fabric and WRONG SIDE of fabric. You may also see pictures for interfacing and lining. Prewash your fabric BEFORE laying out garment pattern pieces on your fabric. Your fabric may need to be pressed as well to help pattern pieces to lay out flat. If you are making a garment-you’ll want to make sure you’ve adjusted to the correct size before pinning the pattern piece to the fabric! Rough cut pattern pieces outside of the sizing lines; just to get the pieces by themselves. You’ll cut exact after you’ve pinned pattern piece on the fabric. 1) View and sometimes size for the particular layout. 3) **The pattern layout will depend on if your fabric has NAP or not! This will be specified for each view so make sure to notice that detail! For the purpose of beginning sewing, and sewing with cotton fabric, simple cotton fabrics won’t have a NAP. 4) Some of the layout views may be for interfacing or lining. Pay attention to the view you are making and if you need to cut out these extra pieces. ONCE AGAIN- The garment/project views will be labled with letters, and the pattern pieces are labeled with numbers and the name of the pattern piece (front leg/ back top/ sleeve, etc.) and size. Read thru all the directions BEFORE cutting anything, then proceed cutting out your pattern pieces/fabric. 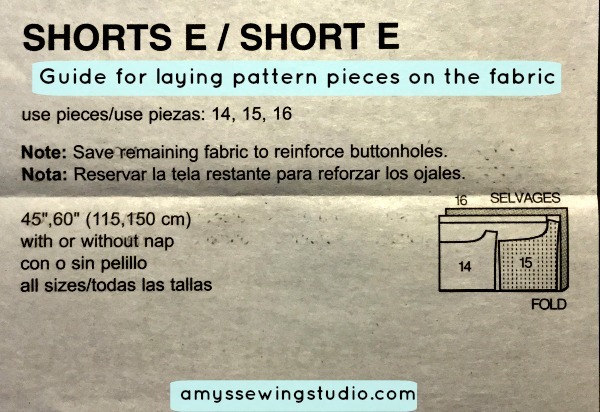 Follow the pattern layout guide as this will assure you get all pattern pieces onto your fabric and use your fabric efficiently. Having guide lines VIA a big measuring board or rotary mat on your table surface will HELP you to see that your fabric is laying flat, all fabric edges are matching and your pattern pieces are laying straight on the grain of fabric before pinning and cutting. After you’ve pinned the pattern pieces on the fabric and cut out all the pieces you need for your project, you are ready for assembly! 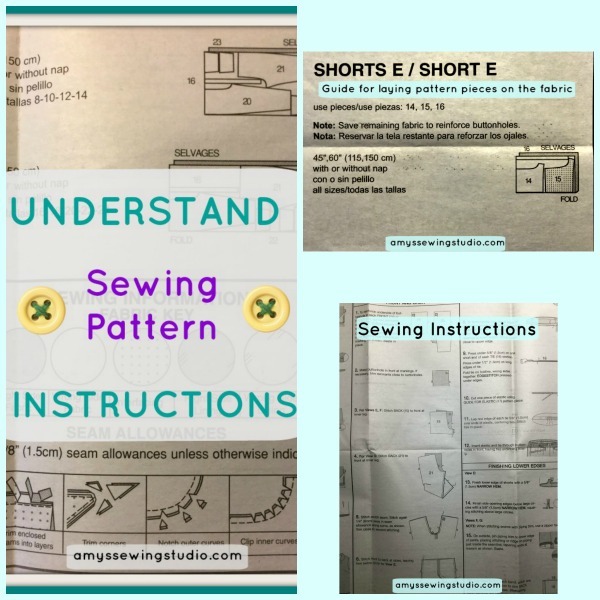 Understanding the Step by Step Sewing Instructions is not that difficult. The sewing directions come with plenty of pictures! It is also helpful to have a beginner sewing book available in case you don’t understand what the pattern directions are telling you to do. 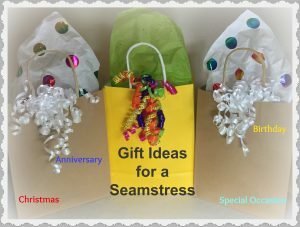 Turn on your sewing machine because you are now ready to start the fun part of sewing! 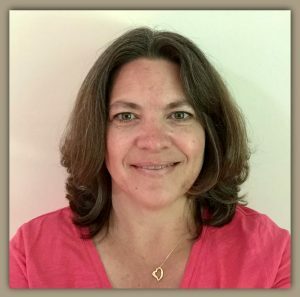 Please share this post on your favorite social media, and be sure to sign up to receive an email notice when new posts are published!